Halloween is one my family’s favorite holidays. My boys love to think about their costumes way in advance. They will also will change their minds about twenty times before we settle on the final costume. This often leaves us in a predicament. Sometimes the version of the costume they wanted is no longer available or they just don’t want to look like every other Ninja Turtle walking down the block. Well in my house we have come up with some pretty awesome solutions to what we have come to find out are pretty common problems. 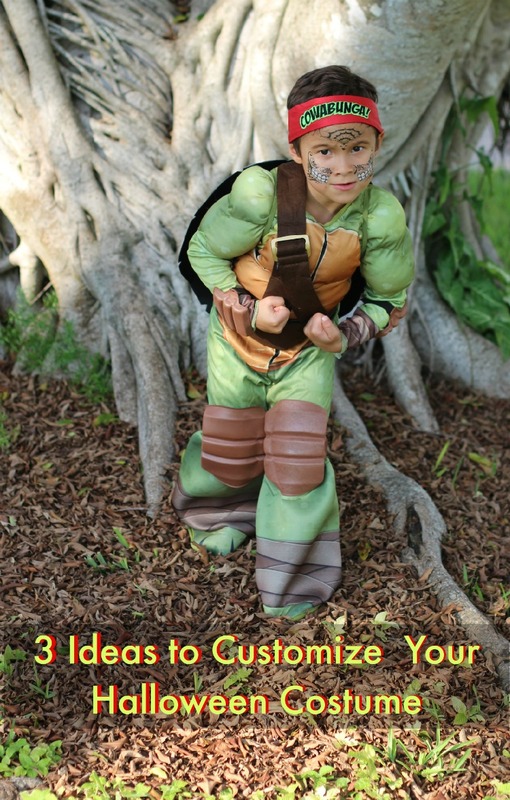 So listen up, here’s 3 ideas to customize your Halloween costumes and make your kids the best on the block. Temporary Skin Modification: Adding fake tattoos or using body make-up to paint your face and skin is a great way to put your own stamp on your Halloween costume. There are great make and tattoo stencils available at most costume stores. Custom Hairstyles Or Wigs: Halloween is a great time to really go crazy with your hair, so don’t be afraid to do it up. If that’s not how you roll, then there are plenty of great wig options that put that little something extra into your costume that will insure you are looking Spooktacular. Mix and Match Costumes: For the artsy-craftsy folks out there, this is one idea you’re probably already on to. You can take bits and pieces of different costumes and use them to make your costume a one of a kind work of art. Take you favorite characters and give them a little extra pop by mixing up the costume with part of other costumes you like. So as you can see, my boy decided he wanted to be a Day of the Dead TMNT. Just by visiting our local Party City we were able to easily find a great TMNT costume. They had a very large selection of all your favorite Nickelodeon characters. 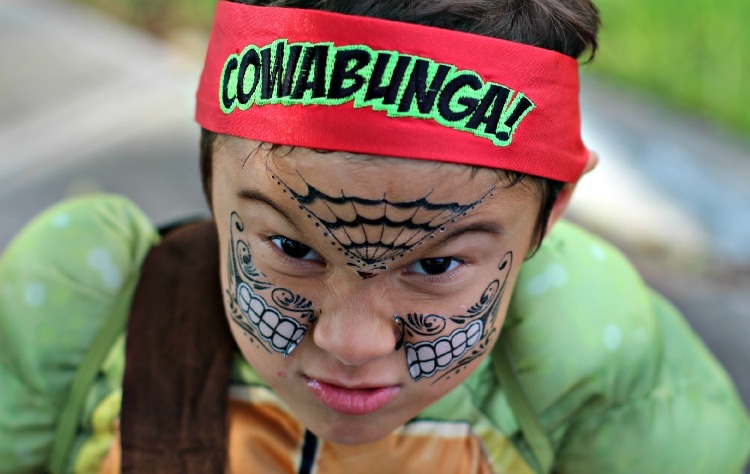 I added some fierce looking Day of the Dead face tattoos and the result is what turned out to be the most fearsome Ninja Turtle yet, in my humble opinion. So take these ideas and go to your local Party City to get your costumes, and make them shine like Frankenstein. This can be your best Halloween ever with just a little extra effort. So get to it and have a Happy Halloween!